Streaming music services have gain tremendous popularity in recent years and become the most popular way to listen to music, among which Spotify and Deezer are preferable for a lot of people. Both Spotify and Deezer offer ad-supported free versions in addition to paid versions, but there are also differences between them. Compared to Spotify’s dark and complex interface, Deezer's clear and simple design makes it easier to navigate and explore songs. And for the Discovery section, Spotify doesn’t offer subscribers much recommendation while Deezer has a cool feature called “Hear This”, which shows new albums and tracks from artists listened to or added to favorites and also recommend similar music to users based on their listening habits. In addition, Deezer users have access to a larger library and more unique songs than Spotify subscribers. For various reasons, a great many Spotify users may turn to Deezer and wonder whether there is any way to transfer Spotify playlists to Deezer. 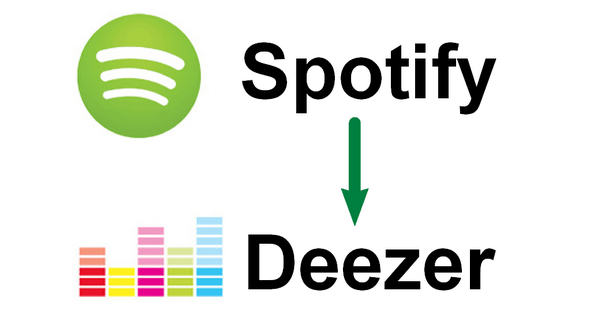 Here we are going to introduce two easy and convenient ways to export playlists from Spotify to Deezer. Step 4. Log in to your Deezer account and then the Spotify playlist you just added will be imported to Deezer automatically. If you are not satisfied with listening to your Spotify playlists on Deezer, you'd like to play them with any other media player on your computer, your mobile phone, or any other devices as well. Then Method 2 is highly recommended to you. In Method 2, we will teach you to download playlists from Spotity to computer first and then upload them to Deezer. 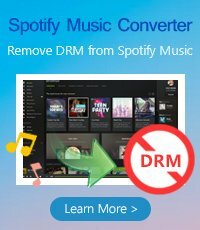 As all the songs on Spotify are in DRM protection, you'll need to remove the DRM from Spotify before importing them to Deezer. 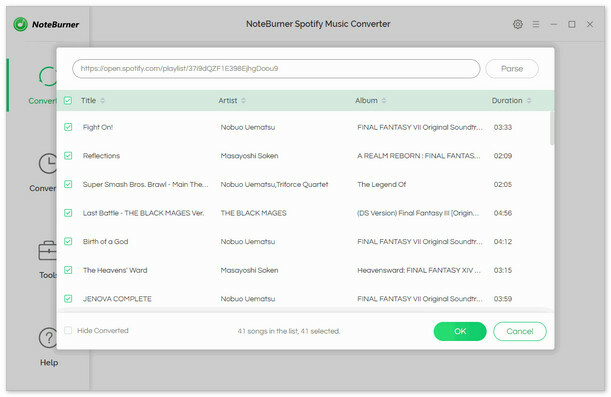 Here we adopt the most popular Spotify DRM removal tool – NoteBurner Spotify Music Converter as an example to show you how to get rid of DRM from Spotify and download playlists from Spotify to computer. Click "Add" button on the upper left or click the center of NoteBurner. There will be a pop-up window prompting you to copy & paste / drag & drop your playlist link from Spotify. Click “Settings” button on the upper right. Here you can choose output format (MP3 / AAC / WAV / FLAC), output quality (High 320kbps, Medium 256kbps, Low 128kbps), conversion speed (up to 5X) as well as output path. 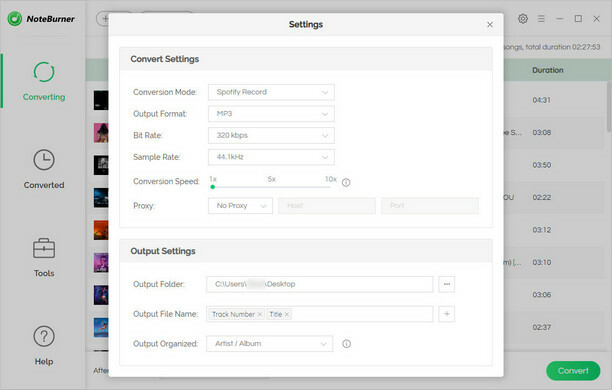 Click "Convert" button and all the songs in the playlist you selected in Step 2 will soon be downloaded to the output path you customized in Step 3. When the conversion is done, you can find the DRM-free Spotify song by clicking “History” button (like a clock) on the upper right or directly going to the output path you set in previous step. Go to Deezer.com and click My Music > More > My MP3s and then select the downloaded Spotify playlists from your computer, and upload them to Deezer finally.